Thinking about Climbing Mount Kilimanjaro? 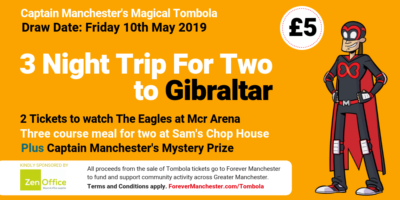 We’re happy to introduce a guest feature from Forever Manchester supporters, VS Group, whose Managing Director Kevin Penman will be climbing Kilimanjaro to raise funds for us later this year. In this post the guys give us an overview of the challenge ahead! Are you considering doing something big for charity this year…really big? If so, a Kilimanjaro climb is a fitting option, particularly for those who are especially adventurous. Each year, many brave people take on Mount Kilimanjaro to raise money for charities, and Manchester-based Managing Director for VS Group, Kevin Penman, will be amongst them. He is undertaking Mount Kilimanjaro climb to raise money, primarily for Forever Manchester. 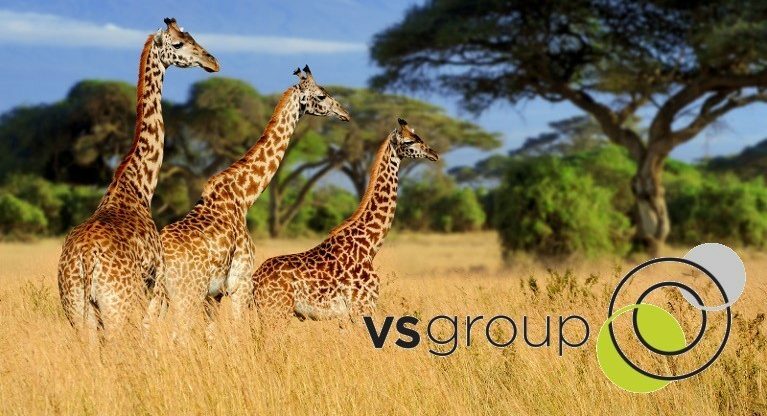 If a charity Kilimanjaro climb is something that you are interested in, here are 10 things you should know before you start, brought to you by VS Group Charity Telecoms. Mount Kilimanjaro is the tallest mountain in Africa, making it one of the world’s most famous and recognised mountains. It is located in Tanzania, East Africa, within Kilimanjaro National Park, standing tall at 19,341 feet (5,895 meters). The first people to summit Mount Kilimanjaro were Hans Meyer and Ludwig Purtscheller, who climbed all the way to the top in 1889. Since then, hundreds of thousands of people have followed in their footsteps and attempted to climb to the summit. Although it is one of the toughest peaks to conquer, that doesn’t deter over 30,000 people from attempting to climb it each year, with the majority reaching the summit successfully. Despite it being no mean feat to climb to the top of Mount Kilimanjaro, a whole range of ages, abilities and backgrounds have scaled the mountain successfully. Some of these incredible people include Valtee Daniel, 87 and Angela Vorobeva, aged, 86, the oldest women to have claimed Kilimanjaro. That’s not to mention Bernard Goosen, who climbed the mountain twice in a wheelchair – which is nothing short of incredible and inspiring! The conditions up Mount Kilimanjaro can be harsh, so climbing up it is no walk in the park. The weather varies throughout the year, with designated ‘climbing seasons’, where conditions are less severe, however climbers can generally expect cold, windy and wet weather, regardless of the time of year. In addition to the weather, the altitude can cause people to feel sick, particularly during the ascent, which is why altitude training so so crucial to do beforehand, to mitigate this. Mount Kilimanjaro may be harsh, but it is home to unique varieties of stunning animals, including bush babies and honey badgers, which can be a real highlight of any climb, if spotted. There are several routes up the mountain, all of which have varying difficulty levels and their own pros and cons. Choosing the best route for you should be thoroughly researched during the planning for your climb, so that you can train accordingly. Embarking on a Kilimanjaro climb requires serious consideration, training and commitment. The difference in altitude can have a big impact on the body, and can make some people very unwell, especially during the ascent. Training can take months and months of hard work and dedication. That’s not to mention the fact that it is a financial commitment. It is recommended that those doing a charity Kilimanjaro climb should self-fund, which can usually cost around £2,000 or more for a tour with a reputable operator. In addition, specialist kit is required in order to climb the mountain. Despite the commitment involved, many people who have done a Kilimanjaro climb, namely to raise money for a good cause, report that it is a life changing and utterly rewarding thing to do. Some momentous world records have been set on the mountain – one of the most notable is the record for the fastest ascent time, held by Karl Egloff, who ran to Mount Kilimanjaro’s summit in just 4 hours, 56 minutes. In addition to this, he also broke the record for the fastest descent time. Several world-famous celebrities and public figures have also climbed the mountain, including Alesha Dixon, Cheryl Cole and Fearne Cotton, Brian Blessed and Duncan Bannatyne. We hope this has helped to give you an overview about Kilimanjaro and a better idea about whether it is something that you would like to do in the future. Should you decide that it is something that you want to do, don’t forget to stay tuned for our upcoming blogpost where we will be revealing our top tips for training for a Mount Kilimanjaro climb. 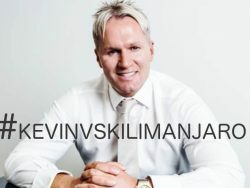 You can also stay up to date with Kevin’s Kilimanjaro training by searching the hashtag #KevinVSKilimanjaro, and of course donate to his climb for Forever Manchester via his JustGiving page.